Driver turnover of more than 80% at some for-hire fleets? 22% increases in spot rates in the last year? It’s a good time for corporations to own a private truck fleet. A huge competitive advantage in the current market, private fleets are a critical in-house competency which protect companies from some of the challenging conditions the transport market is experiencing. This week, private fleets are gathering to review best management practices and model benchmarking standards. The 2018 Annual Education Management Conference and Exhibition of the National Private Truck Council (NPTC) takes place in Cincinnati from April 29 to May 1, 2018. For a private fleet, the goal of predictive maintenance is simple – fix a truck before it is broken. Fleets need to identify when a specific component might fail and to proactively replace components before they fail based on past data. But this depends on the fleet’s ability to gather, store and analyze data that makes predictive maintenance possible: data from telematics systems, maintenance shop, parts or purchase departments. Telematics systems can help by combining odometer, vehicle inspection, braking systems and other engine data to plan maintenance depending on usage data recorded for key components. Fault codes can predict what is about to fail. Automatic early warnings, alerts and driver inspections from vehicles in the field can prevent costly breakdowns and unplanned servicing by pre-ordering parts before trucks ever get back to the shop. Blockchain technology is expected to play a major role in this in the future. One key strategy to boost total compensation is to create a program which rewards drivers for “good driver behavior”. This leads to immediate fuel savings, lower compliance fees and reduced maintenance costs. Good driver behavior translates to driving styles that can reduce fuel costs by up to 20%. Your telematics system should be able to compare driving styles across lots of different driving categories, such as excessive idling, over-speeding, time spent in top gear, use of cruise control, over-revving and more. By comparing drivers from best to worst over each category, you can then calculate the potential fuel savings resulting from better driving and set bonus pay targets for drivers by highlighting the driving patterns in need of improvement. A safe driving culture in a truck fleet is not just about setting safety rules in the training room and expecting drivers to meet them. Away from the office and out on the road, it is harder to deliver just-in-time training when drivers can learn in real-life situations and their current experience. Proactive solutions are needed behind the wheel to develop safer driving habits. 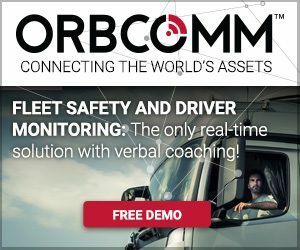 New technology now allows verbal coaching of drivers, right at the time when unsafe driver habits are occurring in real-time and before a crash or fineable offense occurs. Automated verbal alerts can reduce speeding, help to alter aggressive driving maneuvers and warn of the lack of seat belt use. Working to protect drivers, alerts can also be used for crash and rollover detection, to send emergency calls and get panic button alerts. Safer driving is also about monitoring and measurement so that drivers themselves are held accountable, incentivized and rewarded for safer driving behavior. 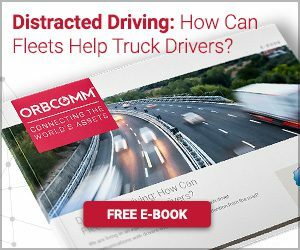 Telematics can identify which drivers are buying into the safety culture by measuring their driving behavior against that of their peers. Driver scorecards have become much more popular in the past two years, where safety is measured through a myriad of data points including fast acceleration and deceleration, harsh cornering, over-speeding and anticipation. While the secondary purpose of scorecards can be to reward drivers, fleet payback can be much more significant by identifying drivers most likely to have an accident, waste fuel resources or increase normal wear and tear on expensive equipment. ELDs will be at the forefront of many driver discussions at the conference. Now that ELDs are here and compliance officers have been implementing CSA scores since April 1, the focus has switched to implementation and driver acceptance. The threatened driver withdrawal from the market seems to have receded but the emphasis is being placed on technology that delivers an ease of use for reluctant drivers and has a positive effect on driver morale, leading to higher levels of retention.